Here is a great article with some great tips for how to tweak your menu to increase your profits. It takes some patience, but if you follow through the end result will be worth it. It's Super Sales Meeting time at Sofo Foods of Ohio. Your Account Manager (AM) and Inside Account Manager (IAM) are in house today for meetings and product demonstrations. Gary Bialorucki is preparing a feature menu idea for the entire sales crew. Today's menu idea is Tomato Basil Pollo Penne Pasta. This flavorful creation features our Bellissimo garlic flavored chicken strips and penne pasta in a tomato basil sauce. Ask your Sofo AM or IAM for the recipe today! 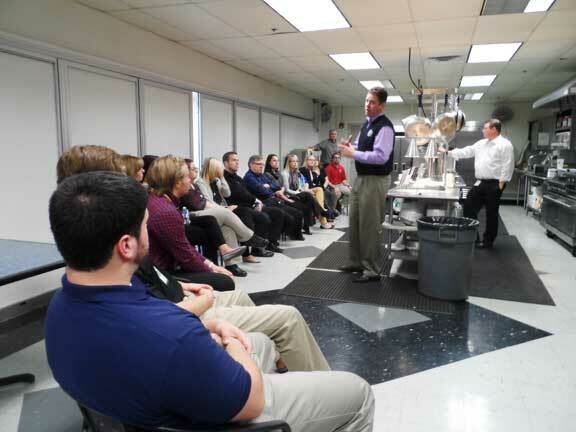 Tyson Foods held training at Sofo Foods of Ohio in preparation of launching two new products. Two new red label chicken products will be launched in January. Inside Sales reps were given the opportunity to taste the new products and see them used in different menu applications. Looking for new ways to increase your sales in December? The Pizza Insider has some easy and inexpensive ways to make more dough during the holidays. You can check out the article here. 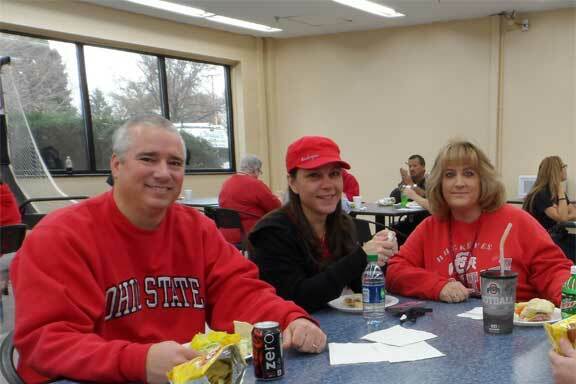 Employees at Sofo Foods of Ohio recently celebrated the annual Border Battle football game of Ohio State against University of Michigan. In honor of the annual event employees get to wear their team apparel and have a tailgate party. In addition to the festivities raffle tickets are sold for a chance to win some great team apparel and gear. Proceeds from the raffle benefit the Cherry Street Mission in downtown Toledo. Photo: from left to right are Jim Ray the Inside Sales Manager, Maegan Jaquay from Accounts Payable and Lynne Soto from Inside Sales.